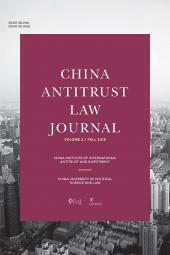 The emphasis of this important work is on Chinese antitrust law and, specifically, what companies doing business in China need to know about the law and its enforcement, both present and future. CIIAI First Annual Antitrust Symposium 2013 is filled with valuable information and insights as PRC companies increase their market penetration and investment in the West. 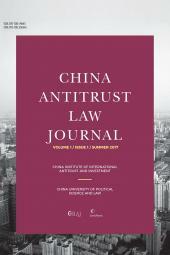 The School of International Law of the China University of Political Science and Law is pleased to sponsor the China Institute of International Antitrust and Investment. This is probably the only institution that focuses on the international dimension of competition policy, that is, the impact of the competition regime of a given country on the influx of foreign direct investment. This book features a collection of selected papers that were presented in the first international conference that the Institute hosted in March 2013, which attracted executives of dozens of multinational corporations and nearly two hundred international lawyers and renowned scholars. Given China 's nascent competition regime and its status as a major destination of global foreign direct investment flow, a large portion of the papers are devoted to the study of China’s competition policy or /and its impact on foreign direct investment. An equally significant portion of papers are concerned with the competition regimes of other countries and their impact on Chinese enterprises ' globalization strategy, having taken into account the fact that China has become a leading source of the foreign direct investment flow. By offering insights on the evolving competition regimes of various jurisdictions, and presenting firsthand materials, this book will be a useful handbook for corporate executives, practitioners and legal scholars. It is also valuable to legislators and competition law enforcement agencies in that most of the papers offer pragmatic advice concerning the improvement of the competition regimes and their enforcement. At the time of the publication of this collection of selected papers, I would like to offer my congratulations on the authors. I would also like to give my sincere thanks to the editors, who were also the organizers of the aforesaid international conference. They deserve our applause. Chapter 23 Sellers Beware: Recent Trends Regarding the Reach of the U.S.